Ohio Certified Home Inspection is the Miami Valley’s best choice for independent home and termite inspections! Welcome to Ohio Certified Home Inspection. We are a highly trusted, reliable company that provides detailed, accurate inspection reports along with excellent customer service. Our reports are easy to understand and cover every aspect of the property. We will walk you through the entire report on-site and answer any questions you may have. 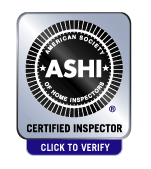 As a trusted independent home inspection company in the Miami Valley, we will always do our best to deliver an outstanding product along with excellent customer service. Whether you are buying or selling, call us at 937-818-5372 for the best home inspection experience, guaranteed! Outside of Dayton? Call us at 937-818-5372 to see if we can meet your needs. Ohio Certified Home Inspection looks out for your best interest! There are a lot of options when it comes to choosing a company to inspect your new home. The internet is full of fly-by-nights, scams, realtors that seem to push “their guy” a little too hard, and companies offering extremely low fees that seem too good to be true. Ohio Certified Home Inspection represents only our client, and no one else, at a fair rate. We are fully insured and licensed in both termite inspection and radon testing in the state of Ohio. Our inspector has also passed the National Home Inspection Exam (NHIE) which is used by 26 states for licensure. Ohio does not currently have this requirement but we feel it is important that anyone conducting a home inspection should meet this level of expertise. We offer the most competitive rates in the area. A whole home inspection that includes a termite report and thermal imaging scan for a home under 1000 square feet starts at $325. We strive for 100% satisfaction and stand by what we do. If for any reason you are not satisfied with our report, please contact our office immediately so we can make it right. Please take a moment and read what some of our past clients have said about their experience with Ohio Certified Home Inspection on HomeAdvisor, BBB, AngiesList, Thumbtack, Google+, Zillow and more. All of these reviews are verified and are from past clients only. We are proud and also very humbled that so many clients have passed along their positive experiences. Our memberships in the local Better Business Bureau and the American Society of Home Inspectors are there to ensure you that we take what we do seriously. We are looking out for your best interest. Need an Inspection Before Purchasing Your Home? Not all home inspections are done the same. Call us first to find out what to look for when shopping for a home inspector. We will talk you through the process, and make sure you get all the information you need… even if you choose to work with someone else. Need an Inspection To Help Sell Your Current Home? A home inspection can save time and hassle from the moment you list your property. Don’t wait for the buyers to use a home inspection to negotiate you down on price. Inspect it now, and get the issues resolved. What Makes You Different From Other Home Inspectors? Ohio Certified Inspection is your source for independent residential home inspections. We also offer clients licensed termite and radon reports. Since our beginning we have continued to excel by delivering the highest quality reports with an unmatched level of customer service. Whether you’re purchasing a home or preparing to sell your current home, you can trust your property to the professionals at Ohio Certified Inspection. Yes, and yes. All of our licensure and insurance is listed below. Craig did an outstanding job! He was very knowledgeable and thorough in his inspection. He explained all of his findings, he walked thru the house with me, so I could see the problems and how to solve those issues. Craig was very detailed in his inspection and very professional. I would HIGHLY recommend him to everyone – GREAT JOB, WELL DONE- Thank you!! Very thorough and detailed. Knowledgeable, fast and easy to work with. Not condescending like some of the “professionals”. I high recommend Craig. I have about 20 engineers that work for me and Craig is as good as any of them. Mr. Grossman was very polite and professional. He spent time walking through home after his inspection explaining his findings and answered all my questions, and I did not feel as though I was rushed in the process. He is very detailed in his inspection and very honest in his findings. I would recommend him to all. Since recently moving to the Dayton/Beavercreek area and looking to purchase a home, I was strapped for information and reviews on good home inspectors and I had some reservations from using my Realtor’s standard recommendation. I did some quick research and located Ohio Certified Inspections, LLC, with a very good rating in all aspects of this business. They’re highly professional, integrity was a must for me and honest about their information and detailed disclosures on the home I was considering for purchase. I found this company above reproach and would recommend the Contractor for home inspections. Craig was absolutely wonderful. I am a 22 year old female buying a home on my own and he was very helpful. Craig not only quoted a competitive rate, but also made a second trip to the home after the first inspection to do another once the water was turned on. He was thorough and stuck around to answer hundreds of questions I had. He is professional but easy to talk to and he is genuinely a great guy. I am so happy I found him!!!!!! Would recommend him to ANYONE! Was very professional and did a great job. He explained everything to us and what we needed to do. We will for sure be using them again for a house inspection. Out of all the home inspectors I spoke with, I’m glad I decided to work with Craig. He was the most professional, arrived early, explained everything that I needed to know and some things I didn’t even think to ask. Craig is a man of his word…he delivered my electronic inspection report the same day as promised. Very friendly, easy to work with and very thorough. Very competitive pricing. Craig was very professional and understanding to my needs. His work was thorough. I especially found the walk through with the inspector helpful, pointing out areas of concern. First hand viewing is so much better than photos. Craig did an excellent job! He was prompt, knowledgeable, and honest. He told me everything that I needed to know. And was able to answer all of my questions. Being a first time soon to be homeowner I was lost. But Craig explained what needed to be done and recommended other professionals if I needed them. I was terrified at first but Craig eased my mind . And I know that I wasn’t being taken advantage of. I would highly recommended Ohio Certified inspections. You won’t be disappointed. I would highly recommend using Craig for all home inspections, he was very polite, and very professional… this man took the time to go through the home we are buying very carefully, checking all aspects of are future home. He went over the areas of concern verbally once he was done. He sent us the report the same night he did the inspection which included photos of everything and discriptions of what needed work (with recommendations). We are very pleased with the respect he showed to us, as well as our home. Every outlet was checked and logged in his report. I can thank him enough for doing such a great job. The price was also one of the cheapest i had found, and def got the job of companies who were going to charge almost double what he charged us. You would be silly to look any further than here for an inspection. Craig did a fantastic job with our home inspection! He found several issues that we were able to have the sellers correct. The report was easy to understand and provided us with a lot of information about our new home. We would recommend Craig and Ohio Certified Inspections! They did a great job and I learned a lot about my new home. Craig was friendly and very easy to work with. I would definitely use them again! Craig Grossman was extremely professional and knowledgeable. He was very helpful during a very stressful time. Craig was very prompt and very professional in his approach to the job. His attention to details was very appreciative. His inspection of the home in Centerville was very thorough and well worth the cost especially since he is also a licensed termite inspector. I highly recommend him.